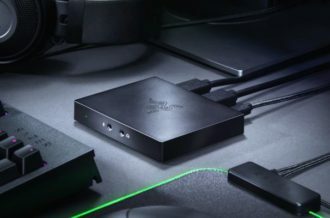 Toys for Bob is trying to put their poor character designer out of a job this year. While the playful company has created some of the most memorable game characters in recent years, this year’s Skylanders is taking the control away from the developers and putting it straight into the hands of the player. 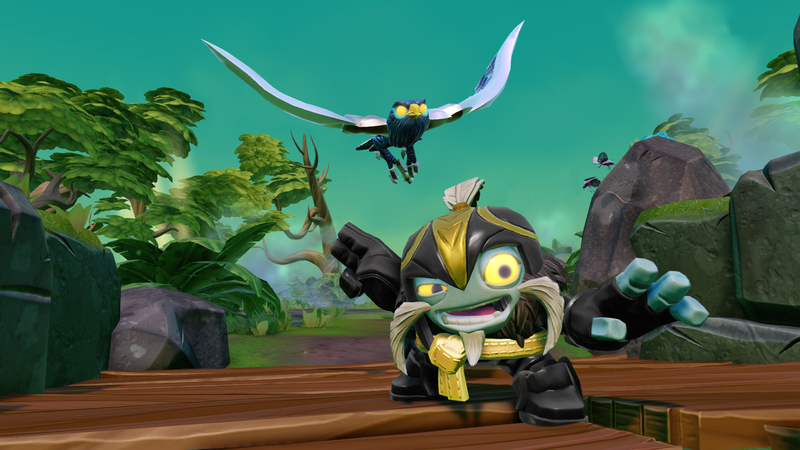 Of course we’re exaggerating — there’s still plenty of new, whimsical characters and will always be a need for them, but what Skylanders Imaginators does is quite impressive; don’t be surprised if kids and adults alike create characters that the average person would have a hard time distinguishing from the in-house creations. 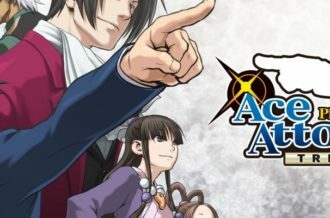 When in doubt, let the fans decide what they want, and that is a sentiment Activision has taken to heart to ensure their famed series remains as well loved as the day it debuted. The plot of Imaginators is as simple as always for Skylanders. Long ago, Mind Magic was used to create everything in the Skylanders world. The magic has been re-awakened, but now it’s being used by Kaos to create monsters the likes of which have never been seen before called Doomlanders. As a Portal Master, you must use Mind Magic to create your own Skylanders to keep the world at peace. While last year’s iteration put a heavy emphasis on racing, Imaginators does an excellent job returning things to the realm of platforming. All of the levels are expertly designed and feature beautiful backgrounds and clever puzzles that feel right at home with the best in the genre. 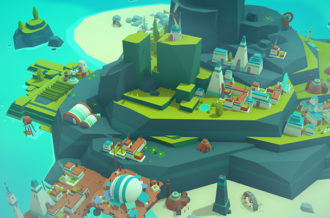 Toys for Bob has always been fantastic at platforming, but something about this year’s entry just feels tighter and more focused than before, seeming like a dedicated platformer rather than an overreaching experience that happens to feature the mechanic. Nowhere is this more clear than in the Crash Bandicoot-inspired level, Thumpin’ Wumpa Islands. Paying homage to the best adventures in Crash’s history, the level features Wumpa Fruit, TNT boxes, crabs, hazard temple runs and more. It feels like a level right out of the ‘90s and shows just how beautiful the series would look if it was given a proper game. Crash Bandicoot joining the series was a huge surprise that nobody saw coming and to have him front and center and not just as an afterthought thrown in to appeal to those hungry for a new adventure of the Bandicoot is commendable. 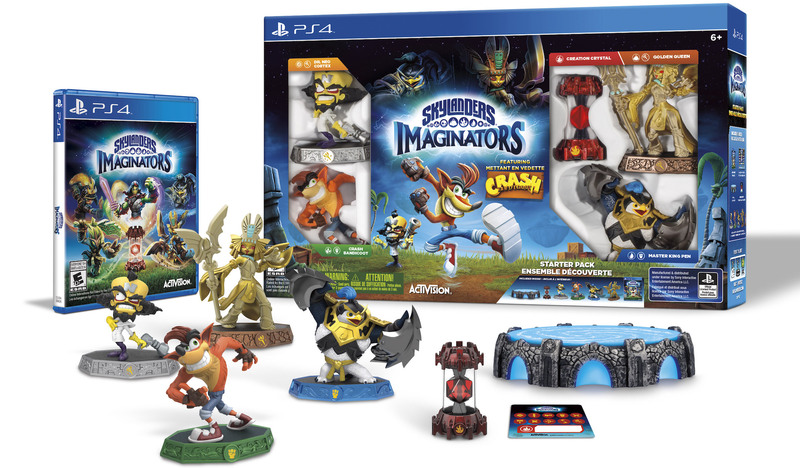 Those looking to experience what Crash has to offer in Skylanders should buy the PS4 version of Imaginators, which includes a Crash Bandicoot and Dr. Neo Cortex figure. The content will become available to all platforms when Thumpin’ Wumpa Islands Adventure Pack (which like other Adventure Packs that will be available, includes a Skylander figure, level totem and a Creation Crystal) is released this holiday. As solid as the main adventure is in Imaginators, though, it’s the character creation itself that takes center stage. 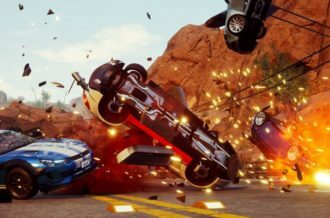 Rarely does a feature of a game become its main attraction, but that’s exactly what Toys for Bob has pulled off here. 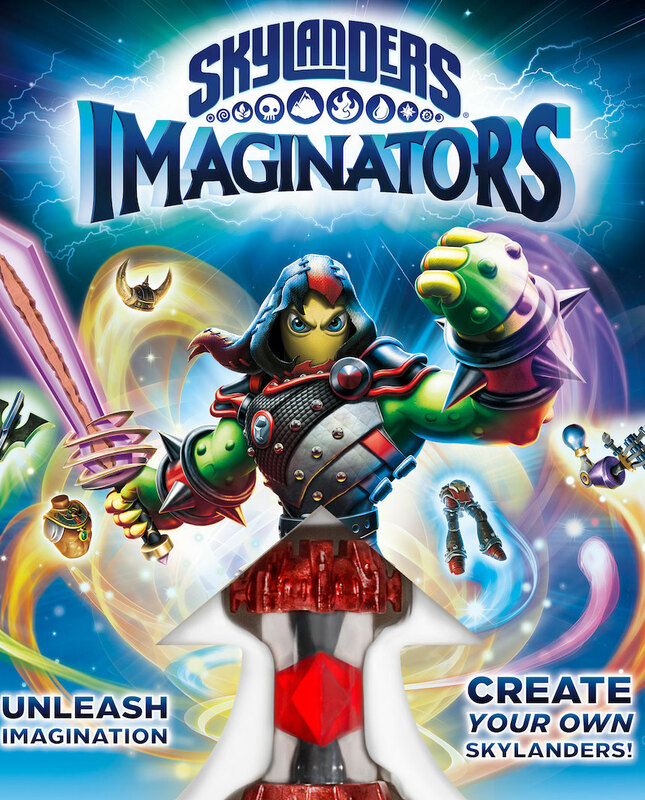 For the first time ever in Skylanders, Imaginators allows players to create their own characters dubbed (like the title of the game) Imaginators. 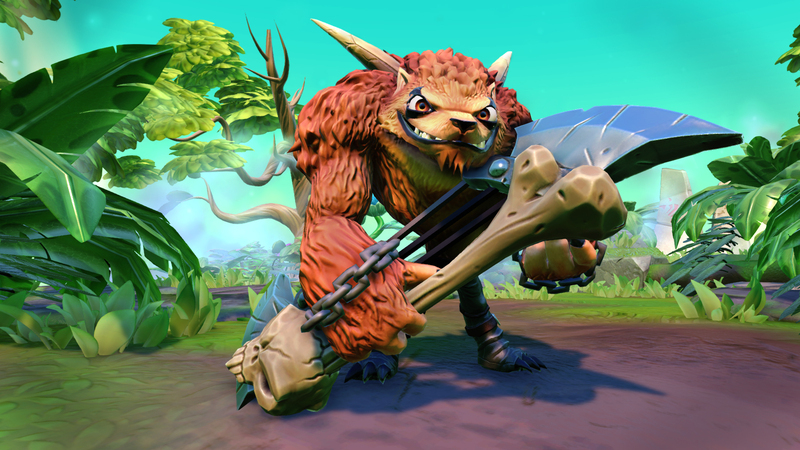 Usually character creation seems like a gimmick that is only used by a small fraction of dedicated players of a game, but Imaginators will make everybody a skilled master of this concept in mere seconds. The feature is deep and allows players to create any sort of Imaginator they want, with custom arms, heads, legs, armor, weapons, voices, catch phrases and more. Many of the custom items are available from the onset, but countless more can be unlocked by finding Imaginite (which comes in four forms yielding better items — common, rare, epic and ultimate) scattered throughout the game or by buying it with real money ($1.99 for 3 creation items including 1 ultimate item, $4.99 for 9 creation items and 2-4 ultimate items, $9.99 for 20 creation items including 7 ultimate items). This theory was easily tested when I tried to create the most robotic anti-Skylander I could and the most whimsical, fairy, bizarre Skylander I could back to back. I succeeded, creating both a large cybernetic killbot (nobody actually gets killed in Skylanders) with enormous guns that speaks in bleeps and bloops (this robot has affectionately been named “Black Robocop” due to his coloring) and a tiny bug-eyed fuzzy creature that looks like it can barely walk, talks like a baby giraffe (at least what I imagine a baby giraffe would sound like if they could talk) and that you’ll want to cuddle to death. That’s not possible in a lot of games, but it is here. The best part is just how easy it is to create these characters. I was able to create the aforementioned legitimate (at least I like to think so) characters in mere minutes and popped out a dozen more random characters based on my mood in the same amount of time. Spending even more time and delving deeper into options will yield Skylanders that can rival what the development team has created and we’re sure to see subreddits and Instagrams pop up that feature these creations. Making this feature even more addictive and easy to use is the free Creator App for iOS and Android that allows players to create characters no matter where they are and import them in and out of the game at will by using “chirp technology,” that “magically” allows the app and game to transfer data via a chirping noise (for you older readers, think of how dial-up internet worked and you’ll get a good idea of the functionality). Players can also keep their Imaginators safe (and let friends borrow them) by using Creation Crystals, little physical crystal vessels that are elementally aligned (the Starter Pack includes one of these and additional crystals can be purchased for $9.99). As cool as having a Creation Crystal represent and store your Imaginator in is, Activision has taken it one step further with the help of the Creation App. After importing (or creating) their Imaginator to the app, players can choose to turn him into a t-shirt ($24.99), collectible card ($14.99) or even a physical figure ($49.99) that will then be mailed to them. To see just how this technology works, I was able to make Black Robocop into all three items and came away quite impressed with the set. 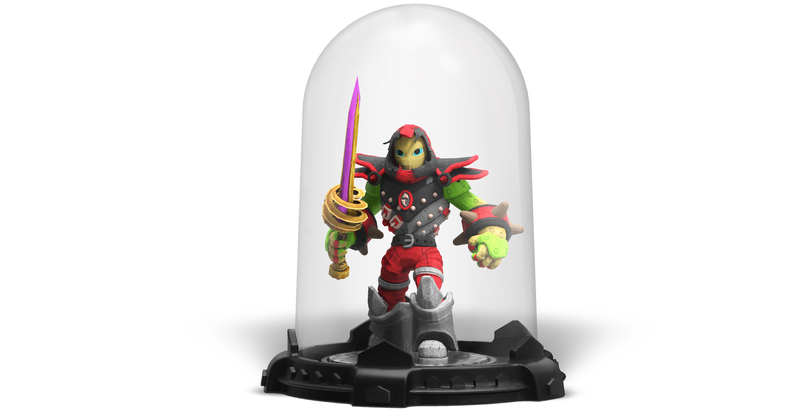 The t-shirt uses a quality blank (Next Level Apparel) and features a large picture of your Imaginator, the card is of a good size and surprisingly thick and the figure is detailed for being a 3D printed product (note that these do not compare to actual Skylanders and are smaller, more fuzzy and come inside of a capsule to keep them safe as they are more fragile, but are impressive nonetheless). The prices are fine for custom items and should keep them in the realm of affordability for most families (although a $5 or so drop on each item would have made them more readily appealing) and the feeling of seeing a character you remember creating brought to life in the physical form is an awesome feeling that I literally have been dreaming about with games since I was young enough to play with toys (okay, that was last year, so bad example) I was a but a wee boy. 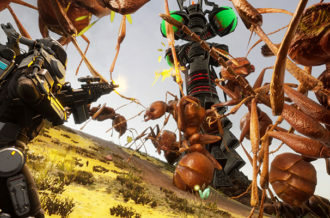 While the character creation features are strong enough to be a game of their own, Imaginators features countless other features that make it a well-rounded experience. Besides the aforementioned strong platforming, there’s tons of other features and mini-games that will keep players busy for hours like the Battle Arena, 10 Sensei Realms (the new characters this year are called Senseis, of which there are 31 including 20 new characters and 11 former villains), Creation Clash (this year’s Skystones card-battling mini-game), Selfies (which by using Selfie Spots in-game not only create a cool picture that’s saved, but also unlocks prizes) and so much more. One of the most impressive features is the return of Skylanders Raceway, which includes all of the racing content from last year’s SuperChargers. Considering that was the main appeal of that game, it makes Imaginators an even greater bargain. With other toys-to-life franchises seemingly folding by the day, it’s amazing that Skylanders has managed to stay not only wildly successful, but also so fresh and entertaining year after year. Last year’s iteration attempted to change the genre of the series, but Imaginators grounds it in platforming again, this time simply crafting the best gameplay experience possible. Considering how often character creation is simply an afterthought in games, it seems hard to believe that it’s such an appealing and masterful feature here, but it truly makes Skylanders the game it always had the potential to be. Being able to sit back and create strange creature after stranger creature and then having the option to play as it, send it to your phone, trap it in a crystal or turn it into a physical collectible is unique and unparalleled experience in gaming that will surely not only become a mainstay in the Skylanders franchise, but also cribbed by countless other games in the years to come. All the more reason to hop into Imaginators and live the future today.